Some of the homeless students are squatting at Wits residences and private student accommodation. A number of Wits University students are still without accommodation three weeks into the academic year .According to the Wits Student Representative Council (SRC) 450 students are without accommodation with many students resorting to sleeping in the libraries or computer labs or squatting at internal and private accommodation. Lena Mabaso, a second-year BSc Electrical Engineering student, who is currently on the accommodation waiting list said, “I’m squatting at South Point, I don’t have money to bribe anymore. You can’t get in if you’re not a resident because they use fingerprints. If I get in earlier I have to pay R50, before 5pm. After five, then I have to pay R70.” Mabaso said it depended on how much the security guard at South Point wanted the squatting students to pay. Third-year BA Law student, Xolani Daku, who is also on the waiting said, “I’m still waiting for a NSFAS response. In the meantime I am homeless. I have to travel using a taxi every day from Vaal. It takes me from an hour to an hour 30 mins.” he said. 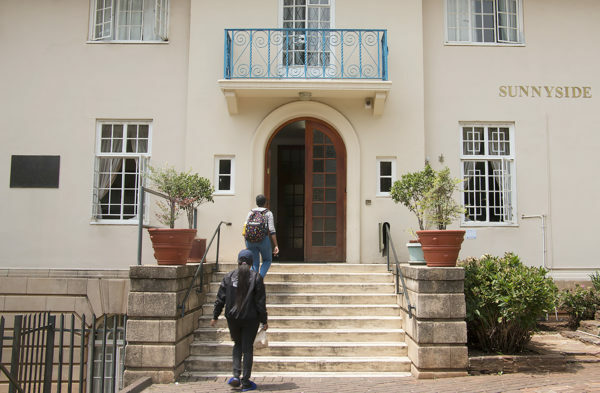 Last Wednesday, five female students who were housed in rooms that were leased out for the SRC were evicted from South Point Private Accommodation at 66 De Korte Street after the leases expired. According to SRC secretary general, the university leases out South Point rooms to accommodate SRC and sub-committee members during the O-Week and registration period. “What usually happens every year around O-Week is that the SRC would book rooms at South Point because the first years are moving into the residences. As we were moving out of South Point, we realised that there was a growing issue of accommodation but, however, at the time our main issue was historical debt,” he said. “The SRC and sub-committee members would then take rooms and give them to ordinary students for them to stay there, so we would then share the rooms with these students,” Makoga said. “At some point South Point said, everyone who doesn’t have a lease must move out. Obviously at the time we did not have a solution but there seems to be a solution coming out. It won’t address everything, but there is something that could come up this week”, the secretary general said on Wednesday, regarding plans to address the accommodation crisis. One of the evicted students, Sanelisiwe Zitha (third-year BAccSci), said, “I don’t have funding this year. I basically lost NSFAS, I didn’t get the 50% requirement. I appealed via a motivational letter. I don’t have accommodation since I don’t have funding. I have been sleeping at the 24-hour library and showering at friends’ [university residences]. We don’t have food as well,” said Zitha. The five evicted students have received temporary accommodation at internal residences after the university waived the 20% upfront payment fee for residences. July,2017 Wits opens a public bid for Alex land to raise funds toward student accommodation.